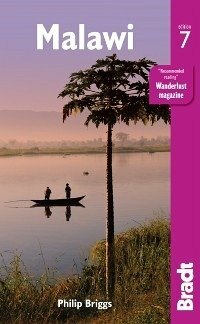 Bradt's Malawi by Africa expert Philip Briggs is the only standalone practical guide to 'Africa's best kept secret' and offers detailed, comprehensive information to suit the needs of every wanderer. This fully revised and updated 7th edition offers extensive practical information, all the latest cultural and political developments, plus a 19-chapter, in-depth breakdown and coverage of the country to cater for all interests and budgets. Malawi is increasingly covered in the media as a holiday destination and this guide reflects its position as an up-and-coming destination for bird watchers, safari enthusiasts, trekkers, beach seekers, kayakers, rock climbers, scuba divers, families, and backpackers alike. As 'the Warm Heart of Africa', Malawi is noted for the welcoming, friendly demeanour and colourful culture of its people which makes a 'Big 5' safari in Majete Wildlife Reserve and kayaking the palm-fringed Likoma Island magnificent footnotes to a Malawian adventure. From trekking the rugged, rural wilderness of Mount Mulanje to relaxing at Lake Malawi's beachside luxury resorts, Malawi is the textbook destination for those seeking an exotic African experience without the crowds.